As of 1 January 2014, Parliamentarians in the Lower House of Parliament will no longer receive personal cheques to assist with the operations of their constituency offices, but the Office of Parliament will take responsibility for paying expenses relating to the operations of those offices. Following the General Elections in 1999 when the New National Party initially won all fifteen seats in the House of Representatives, the then Government made a decision to provide an allowance of EC$1,500 to assist with the operations of constituency offices. This money was an addition to their monthly payment of EC$1,200. This is according to the minutes of the proceedings of the meeting of the Standing Committee on Finance, which in actuality is a coming together of all elected parliamentarians who must approve Government Estimates of Expenditure and Revenue before it is presented in the parliament. 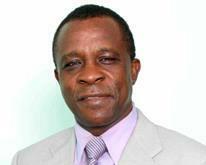 It is chaired by Finance Minister, Dr Keith Mitchell. “The chairman pointed out that the key reason for the new arrangement was that no monies would be going through any one of the Parliamentarians’ hands, which would be safeguarding the Parliamentarians and all concerned,” said the minutes which was tabled at the 10 December sitting of Lower House. The minutes further explained that the Permanent Secretary stated that the amount would properly cover the expenses of the offices and at the same time would take the pressure off the individual Members of Parliament. A guideline was established for Parliamentarians to observe as part of the new changes. Because of the amount allocated, the guidelines provide strict rules as to the maximum fee for rental, payment to staff, and other supplies for the effective operations and functioning of the offices. Following the February General Elections in which all the seats were won by the candidates of the New National Party, a decision was taken to convert these NNP Party offices into Parliamentarian or Constituency offices. The EC$1,500 allocation to each office is expected to cover the monthly payment of all expenses related to the operations of these offices including: rental space, a secretary and utility bills.